Did you know that almost the entire United States is prone to earthquakes? The West Coast of the U.S. has nearly a 70% chance of a 6.7 earthquake or larger. The East, a 40-60% chance and the Midwest has a 40%+ chance! 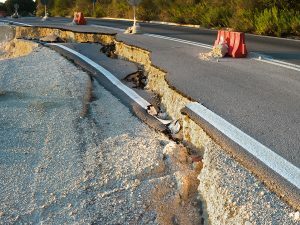 Most earthquake insurance policies feature a high deductible, such as 10%+ of the value of the total insured value of the home, which makes this type of insurance useful if the entire home is destroyed, but not useful if the home is merely damaged. Rates for earthquake insurance vary greatly based off of earthquake maps. Rates can also vary greatly depending what your home is constructed from. Wood homes withstand earthquakes better than brick homes. To learn more about what earthquake insurance covers and what isn’t covered, please contact our office today at 314-720-1702 for a free, no obligation quote.